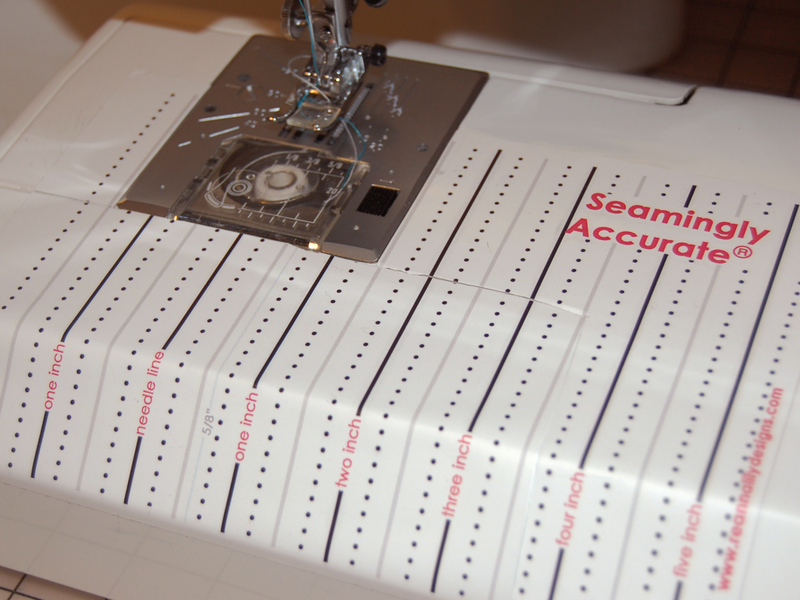 This re-positionable adhesive seam guide means never having to put tape or magnets on your sewing machine. Great for beginners and all types of sewing projects. Read this customer review over on Create Kids Couture HERE. Seamingly Accurate? was also included in QuiltyBox’s monthly subscription box. Hooray! 4. 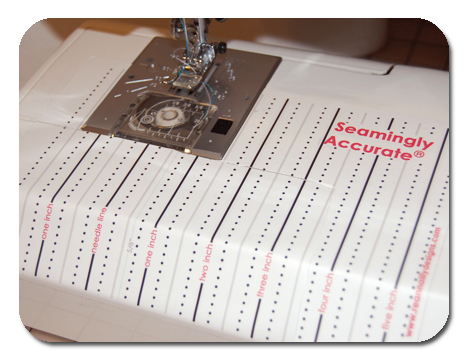 Now your guide is fitted to your sewing machine and can be easily used.